Strategies for transforming a toxic church culture Why is it that the best strategic plans and good leadership often are not able to move churches in the desired direction? Sam Chand contends that toxic culture is to blame. Quite often, leaders don't sense the toxicity, but it poisons their relationships and derails their vision. 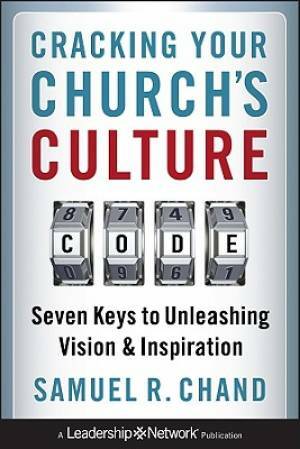 Cracking Your Church's Culture Code by Samuel R. Chand was published by John Wiley and Sons Ltd in November 2010 and is our 27762nd best seller. The ISBN for Cracking Your Church's Culture Code is 9780470627815. Be the first to review Cracking Your Church's Culture Code! Got a question? No problem! Just click here to ask us about Cracking Your Church's Culture Code.